Look at what I found on eBay! I’m typically not a huge fan of ‘tribute’ cars or clones. 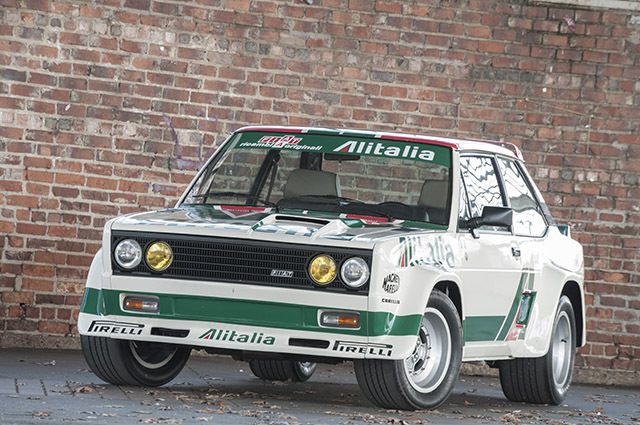 But this Fiat 131 does a nice job of looking the part of the iconic rally legend. The asking price is 25k OBO which is steep for a 131 with a body kit and wheels. 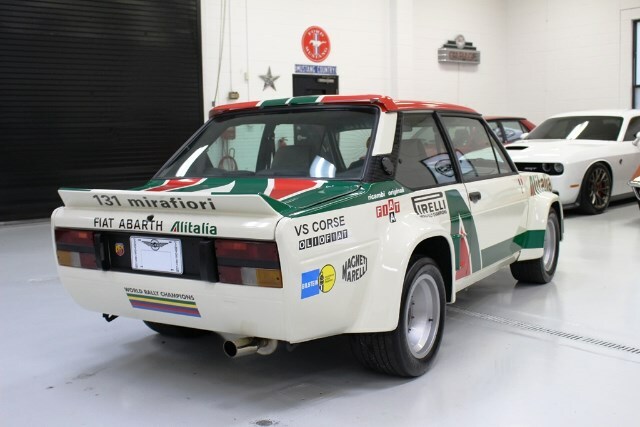 But with that said, the last real 131 Abarth to show up on eBay was located in Europe and listed for 120k! 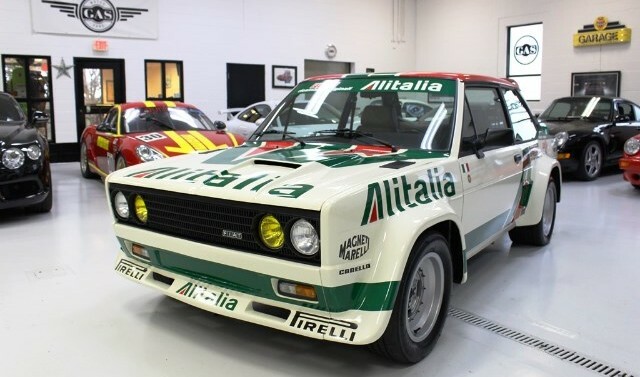 Said to have been professionally restored at the time of fitment, this Abarth rally bodykit is likely made of fiberglass, and looks pretty accurate despite a few notable issues. For instance, the green painted recessed panel between front marker lights is a mold blank that should have been cut out, and rear flares should have L-shaped black stone guards running around their integrated vents. Alitalia livery is always cool. The more I looked at the car in the auction the more it seemed familiar. After all, how many 131 replicas can be floating around stateside? The thing I remembered was an article about a 131 replica built in the US which focused on the tarmac replica tires. So after performing a couple searches its pretty obvious that this car for sale in Georgia was the car worked on by Honest Charley a few years back. So now the car if for sale by GAS Motor Cars in Atlanta. The drive line is tame but the box flares, Abarth wheels and Michelin TB5 Tires look great. 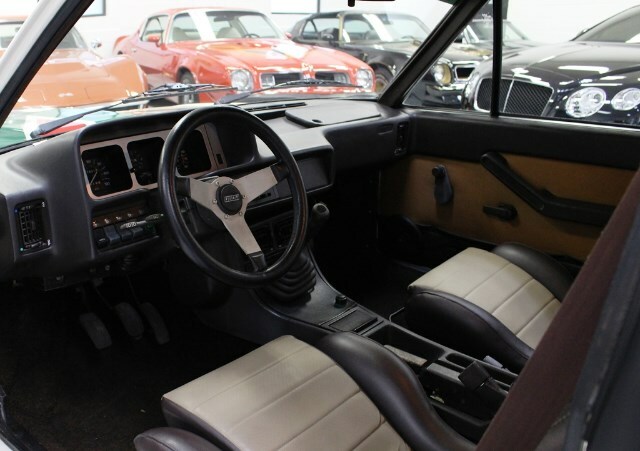 Inside, the car features a really clean (yet again stock) dash, paired with a color-matched and period-correct set of Recaros. Despite some dangling wires beneath the passenger side of the dash, overall it’s a very nice cabin, even if colors are an odd match for the exterior.